Musk is discovering that large-scale car manufacturing is hard, and it's not easy to improve on the methods of conventional automakers. While automation plays an important role in car manufacturing, it's not the magicbullet Musk imagined. (In) the 1980s, GM spent billions on advanced robotics, but never saw a return on that investment. Far from leapfrogging conventional automakers, Tesla is struggling to match the efficiency of established rivals. "Excessive automation at Tesla was a mistake. Humans are underrated." Production had been halted for much of last week in Tesla's car factory in Fremont, California, and its battery factory near Clark, Nevada. In a note to employees, CEO Elon Musk said that the pause was necessary to lay the groundwork for higher production levels in the coming weeks. Musk said he wants all parts of the company ready to prepare 6,000 Model 3 cars per week by the end of June, triple the rate Tesla has achieved in the recent weeks. The announcement caps a nine-month period of turmoil that Musk has described as "production hell" as Tesla has struggled to ramp up production of the Model 3. Tesla had high hopes for its Model 3 production efforts. In 2016, Musk hired Audi executive Peter Hochholdinger to plan the manufacturing process, and Business Insider described his plans in late 2016: "Hochholdinger's view is that robots could be a much bigger factor in auto production than they are currently, largely because many components are designed to be assembled by humans, not machines." Musk now admits he was wrong about this. "Excessive automation at Tesla was a mistake," Musk tweeted recently. "To be precise, my mistake. Humans are underrated." "We had this crazy, complex network of conveyor belts," Musk told CBS News. "And it was not working, so we got rid of that whole thing." Musk is discovering that large-scale car manufacturing is really hard, and it's not easy to improve on the methods of conventional automakers. And while automation obviously plays an important role in car manufacturing, it's not the magic bullet Musk imagined a couple of years ago. Far from leapfrogging the techniques of conventional automakers, Tesla is now struggling just to match the efficiency of its more established rivals. And most of the auto industry experts we talked to thought Musk still had a lot to learn. "A lot of the mistakes we're hearing about are mistakes that were made in the rest of the industry in the 1980s and the 1990s," says Sam Abuelsamid, an industry analyst at Navigant Research. He points to the experience of General Motors, which wasted billions of dollars in a largely fruitless effort to automate car production in the 1980s. At the same time, it's rarely a good idea to underestimate Musk. Musk has a long history of setting optimistic deadlines for his companies and then failing to meet them. But Musk is persistent and a quick learner. He has made a lot of mistakes so far, but he may still have time to learn from those mistakes and turn Tesla into a competitive carmaker. 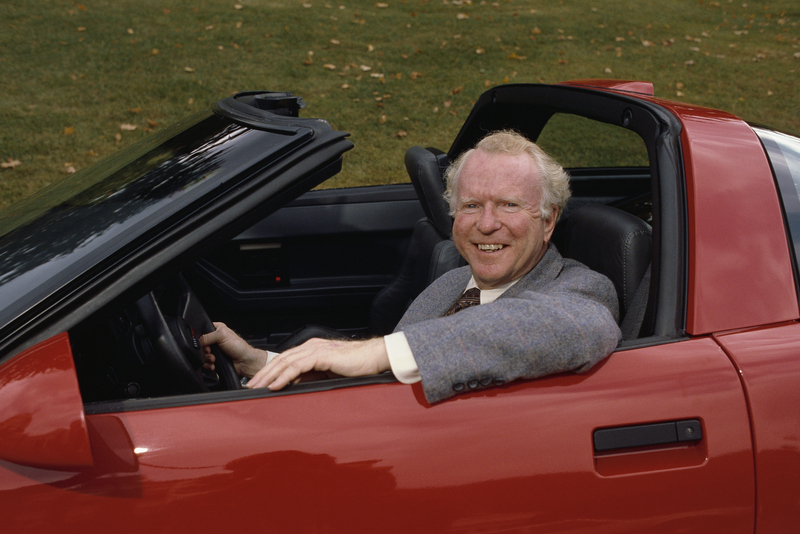 Enlarge / Roger Smith, CEO of General Motors in the 1980s. In reporting this story, we talked to two different experts who drew the same parallel to GM's automation efforts in the 1980s. At the time, GM was being led by chairman and CEO Roger Smith and faced rising competition from Toyota and other foreign carmakers. Smith had a vision for a "lights out" car factory where robots would do the bulk of the work, allowing GM to produce cars more efficiently than anyone else. Over the course of the 1980s, GM spent billions of dollars on advanced robotics, but it never saw a return on that investment. "Instead of easing robots onto the line a few at a time, providing for inevitable debugging problems with redundant equipment, GM bet the entire Hamtramck production system on the proposition that leading-edge automation would work instantaneously." Three decades later, robots are more sophisticated. But the same basic insight applies: automation works best when it's added incrementally to a production process that's already working smoothly. And Musk seems to have made the same mistake Smith did: bringing in way too many robots, way too quickly, leaving little time for testing and refining the process. Robots are supposed to allow production of more cars with fewer workers, but one ironic consequence of over-automation is that it can actually require more workers. Ingrassia and White report that GM's Hamtramck plant had around 5,000 workers on its payroll in the mid-1980s, compared to 3,700 workers at a nearby Ford plant with many fewer robots. Yet the Ford plant was "outproducing Hamtramck by a wide margin." Today, Tesla is having the same frustrating experience. Tesla is manufacturing its cars at a plant in Fremont, California, that was formerly a famous GM/Toyota joint factory called NUMMI. According to Automotive News, NUMMI had 2,470 employees in 1985, its first year in operation, and produced 64,764 cars. By 1997, it had 4,844 workers and produced 357,809 vehicles. By contrast, Automotive news estimates that Tesla has somewhere between 6,000 and 10,000 workers in 2016 (the San Jose Mercury News said it was "about 10,000" last year) and manufactured just 83,922 vehicles. That means Tesla's plant in 2016 was less than half as productive, on a per-worker basis, as it was during the first year of GM management—and less than one fifth as productive as it was during NUMMI's heyday in the 1990s. "The number of people Musk's got in there has a great deal to do with why he doesn't make money building vehicles," automotive manufacturing consultant Michael Tracy told Automotive News last year. To be fair, Tesla is known for being more vertically integrated than competitors. 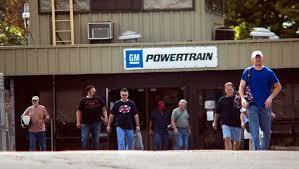 So some of those extra workers may be doing work that would have been performed by suppliers in the NUMMI plant. And Tesla says it's making progress. "The number of labor hours needed to complete a vehicle has decreased 33 percent since early 2016," Tesla's Laurie Shelby wrote in a February blog post.